Raised 100% in stainless steel, the aromas show some of the exotic fruit of the vintage with white peach notes, but there is the unmistakable marine quality of true Chablis on Kimmeridgian soil underneath, along with the zesty lemon edge. Approachable now and will be enjoyable over the next few years. 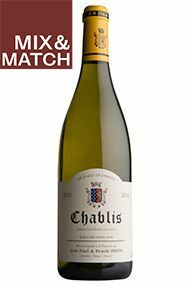 The Wine Advocate - The 2015 Chablis Villages is clearly a higher level of quality than the Petit Chablis this year, sporting more freshness and vigor. The palate is slightly waxy in texture, with white citrus fruit mixed with nectarine and a pinch of white pepper toward a somewhat conservative, approachable finish. Drink this capable Chablis over the next three or four years. The Droins have been producing wines in Chablis for nearly 400 years (their history as vignerons goes back at least to 1620). 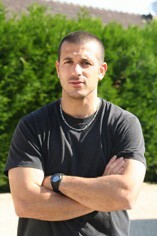 Benoît represents the14th generation of Droins and is one of the most dynamic winemakers in the region. His father Jean-Paul put the domaine on the map but perhaps went too far down the road of new oak barrels. The domaine owns 13 hectares of vineyards and produces 14 different wines, including Petit Chablis, Chablis, 7 Premiers Crus and 5 Grands Crus. Benoît runs a more sophisticated operation from a large modern winery almost in the shadow of the grands crus. He has revised his pruning system and significantly reduced yields. In the cellar the principal change has been away from new oak. Each wine now gets the treatment which Benoît thinks is suited to its terroir. Thus Petit Chablis, Chablis, premiers crus Vaucoupin and Côte de Lechet, and grand cru Blanchots are all fermented and matured in tank. Vaillons, Mont de Milieu and Montée de Tonnerre receive 25 per cent of barrel fermentation and maturation, 35 per cent for Vosgros and Vaudésir, 40 per cent for Montmains and Valmur, peaking at 50 per cent for Fourchaume, Grenouilles and Les Clos. However the age of the oak and the choice of tonnelier may vary according to the cuvée. The maximum new oak is ten per cent in the grands crus. Droin says "I use less new oak now than I did 10 years ago; my feeling is that you don`t make your best wines in new oak barrels." Although these are rich, full-bodied, buttery wines, they still manage to retain a steeliness, raciness and purity of fruit which are the hallmarks of classic Chablis.